Super-soldier John-117, Master Chief of the United Nations Space Command, must battle a genocidal alien race known as the Covenant following his violent crash-landing on Halo, an ancient and mysterious ring-world. Peace is shattered when colony worlds are unexpectedly attacked. 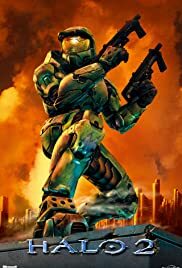 And when humanity's greatest hero goes missing, Spartan Jameson Locke is tasked with hunting the Master Chief and solving a mystery that threatens the entire galaxy. A super soldier in the United nations space command is marooned on a mysterious world with some marines who will help him fight against an alien organization known as the covenant. Mankind's epic struggle for survival against a dominating Locust Horde, a nightmarish race of creatures that surface from the planet's vortex. 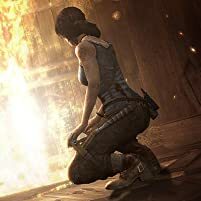 With survivors scattered and civilization in ruins, time is running out for Delta Squad in the spectacular conclusion to one of the most celebrated sagas in video games. Arbiter: [standing before the heirarchs and the counsel] There was only one ship. Prophet of Truth: One? Are you sure? Arbiter: Yes. They called it the "Pillar of Autumn". Prophet of Mercy: Why was it not destroyed with the rest of their fleet? Arbiter: It fled as we set fire to their planet. I followed with all the ships in my command. Prophet of Regret: When you first saw Halo, were you blinded by its magesty? Prophet of Regret: Paralyzed? Dumbstruck? The second best sequel with some minor flaws. I just finished playing Halo2 at least two times and it was great. Only reason I gave it an 8 instead of 9 was that it was felt unfinished and rushed as well as an unsatisfying and incomplete ending. The first Halo game was something of a milestone of it's time as it reinvigorated the FPS genre in ways that were never before seen in the history of games of this kind. With that in mind, Halo 2 does it again with tight game play and graphics and a gripping if somewhat recycled plot. The opening scenes of Halo 2 are simply impressive on the now-ancient Xbox hardware, showcasing very fine details in the characters both old and new, especially the Master Chief and Cortana, who looks even more refined then ever before. It's really rewarding to see how a series progresses into it's later stages; like the process of evolution and that is what Halo, Halo 2, and to a greater extent, Halo 3 (more on Halo 3 later on in a future review). Having recently played Halo 2 on Xbox 360, I can say wholeheartedly no system can do a game like this justice, not even PS2, at the time it was made. Adding to the already stellar package is the game play, which is quite different the first time you play. For one thing, one of the most impressive features of Halo 2 is the ability to wield two weapons at once, doubling your firepower. Nothing is more visceral than taking down a squad of Grunts with two submachine guns without breaking a sweat. You can also adjust the difficulty' naturally I chose Legendary since I like my games on the hard side. Halo 2 may not have the same wow factor of the previous game, but it's new additions more than make up for it. Character development is highly prominent with new characters such as the Arbiter, the Brutes, and the Prophets. The Arbiter is the coolest addition to the franchise, a warrior on a suicide mission due to failures of the past, voiced EXCELLENTLY by Keith David. David is one of my favorite voice actors around and he gives the role with dignity with a sense of honor. The voice talent is one of the best and most convincing elements of the Halo franchise and everyone involved does a remarkable job. Most of it is great but some of the death screams are a little generic and basic. While it doesn't hurt the game overall, it does make the game lose some of it's atmosphere and impact. And for any Halo fan out there, one cannot fail to see the wonderful score composed beautifully by Martin O'Donnell. The man is simply a genius when it comes to composing music, especially for this series which has moments fraught with danger and suspense and blistering excitement. 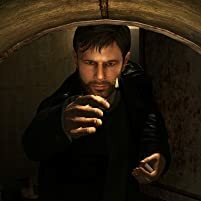 Martin does a great job of establishing the mood and atmosphere with mellow, calmness to dark eeriness with surprisingly effective rock music spliced between several moments throughout the game. A true testament to many acclaimed game music compositions. But that's not all. Halo wouldn't be Halo without it's blistering action and this game does it in spades. Just like in the original, the level of strategy evolves into fresh game mechanics; most certainly as the Arbiter which was a blast to play. Aside from his alien heritage and stealth capabilities, he's Master Chief's equal. Since most players disliked the Arbiter, I actually enjoyed playing as him. 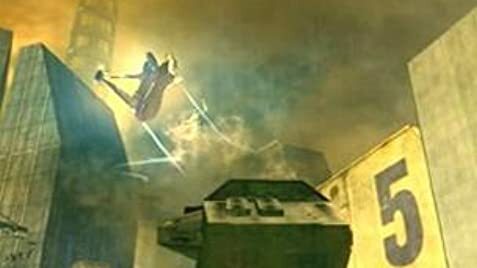 One of my favorite moments was when you had to reach the Library to retrieve the sacred icon while killing hordes of the Flood through the ruins of Delta Halo. Really cool. just couldn't believe they ended it like that with so many questions and loose ends untied. 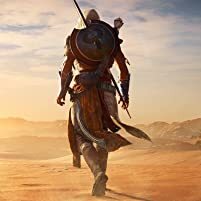 Hopefully the next game, which I yet to play, ends the series with a rock-hard solid coup De grace. Halo 2 is worthy of praise but it's somewhat unfinished feeling and cliffhanger ending marred it's potential.